I’ve always loved the look, smell and feel of a book as much as its contents. There is nothing quite as satisfying as holding a book and feeling it’s weight in your hands, opening it up and feeling the paper and checking out the type and font. I don’t just feel this way about new books, but about old books too. I’ve become a collector of old, used and sometimes smelly books. Choosing which books to purchase is a lot of the fun. 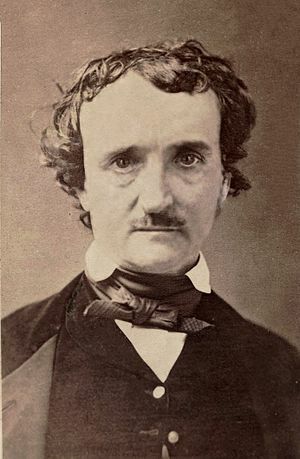 Without realizing it I’ve made a few rules for myself; it must be something I would want to read, it can’t be too mildewed and it can’t cost more than $50. I do think (no, I KNOW) I’ve cheated on that last rule a few times, but what the heck they are my own rules!! 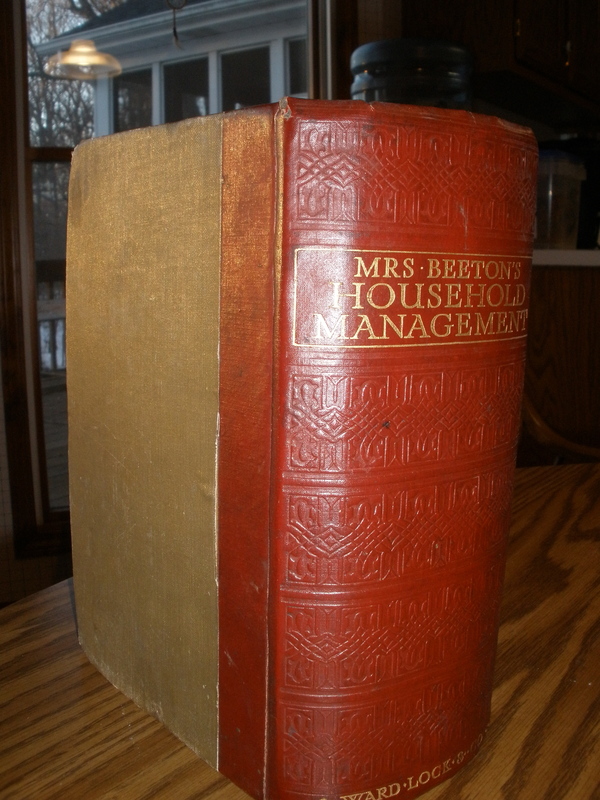 One of my favorite purchases, and one of the most expensive at $40, is a 1915 edition of Mrs. Beeton’s Book of Household Management. I found this gem at our local flea market and I couldn’t believe my luck. 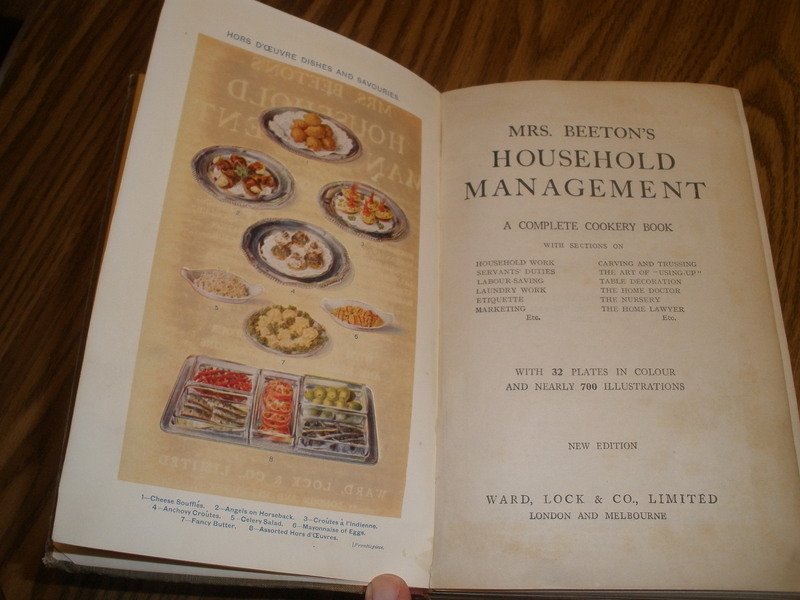 I can’t remember the first time I heard of Mrs. Beeton and her famous book, but it had to be while reading a Victorian novel or watching Upstairs Downstairs. I had read her biography and looked up some of the books contents on Project Gutenberg but I never, ever thought I would be able to snag my own copy!! It’s a big, fat book with “32 plates in colour and nearly 700 illustrations”, as proclaimed on its title page, and the end papers have old-fashioned ads for Howards’ Bicarbonate of Soda, A1 Sauce and Bumsted’s Salt. The contents are glorious and a peek into what a well-to-do lady needed to know to run a household in 1915. It explains the duties of her housekeeper, the butler and the maids. There are household tips, like napkin folding and how to set a table as well as instructions on what is needed in a modern-day nursery. There are oodles of little gems in this book and I doubt that I will ever find them all as there are over 1600 pages, but I never get tired of opening it up to a random page and getting transported back to a different place and time. Ah, the power of books! !